This premium 100% Organic Prune Juice is high in anti-oxidants, dietary fibre, iron, magnesium, Vitamin K, Vitamin C, Vitamin B6, phosphorous, and niacin. It is pressed, bottled and vacuum sealed in certified organic facilities. Naturally low in sodium and high in potassium, they are a valuable source of both soluble fibre which helps to regulate blood sugar levels, and insoluble fibre, benefiting liver and intestinal function. 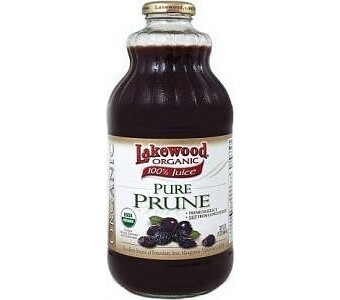 Lakewood Organic Prune Juice contains no synthetically compounded fertilisers, pesticides, herbicides or growth regulators.